The Nations: What delayed the Messiah? And Who made the prophesies of 5760 and of 2012? When will the Messiah (Moshiach) come? And What did the Golden Calf incident have to do with the delay? And what ever happened to that prophecy of His arrival in 5760? H’Am, the nation, is referred to by the Zohar as the erev rav, the force of so-called converts who derive their power from Amalek and have always sought to undermine the power of the Jews (Israelites) to bring Mashiach, the Messiah. The numerical value of H’Am (העם) is 115, and 115 jubilee (50-year intervals) is 5750, the year that Israel celebrated its 42nd year, which was 28 years before the prophesied date for the Geula, the arrival of Mashiach and the End of Days. Those familiar with The Genesis Prayer and this blog know that 28 is intimately connected with the year 5778, the construction of the Torah, and that the first 28 letters of the Torah is the link between the 42-Letter Name, the Torah, and Creation. Before we look deeeper into the process lets examine the word H’Am (העם), comprised of a final Mem of value 40, and 2 letters, representative of the Mem-bet, or 42, the Name of G-d that chazal has told us will bring about the geula, the final redemption and thus the end of our collective 42 -step journey. Moreover, the Ayin, of value 70, hints to the age of Israel in the prophesied date of 5778, while the other 2 letters, hey (5) and mem (40) add up to 45, the numerical value of Adam (EDM), which as we’ve explained in other post, is known to represent Adam-David-Mashiach. Moreover, the numerical value of the spelled out letters EDM from Adam-David-Mashiach is 111 + 434 + 80 = 625, which is not only the numerical value of H’Keter, “the crown and highest possible level (sefira), but the number 625 is also the exact square root of the total number of words, verses and letters in the Torah combined (390,625), which in itself graphically depicts, H’Keter, (625) crowning Heaven (Shama’im, 390). Nevertheless, the numerical values for the phase “Adam, David and Mashiach” plus 1 for the kolel add up to 45 +14 + 364 + 1 = 424, the numerical value of Mashiach Ben David. And we know from the Zohar that the ayin (ע) of numerical value 70 in H’Am (העם) is not without purpose because there are 70 nations in total from which holy sparks must be raised in order to bring about H’Mashiach, corresponding to the last 70 years from Israel receiving statehood in 5708 to the year 5778, and to the 70 years of King David’s life. As you can and should read in The Divine Calendar, this also relates to the destruction of the First Holy Temple in 422 BCE and to that of the the Second Temple in 70 CE. And most significantly, the word seventy (70) has the numerical value of 422 and the sum of the Names (or 3 aspects, points in time) of Adam, David and H’Mahsiach is 45 +14 + 363 = 422. Why do we refer to these 3 aspects of the messiah as 3 points in time? In the divine calendar of 5778 years from Adam to Moshiach, the midpoint is marked by the exact midpoint in King David’s life, 2889 HC. The gematria atbash reveals yet another clue about the H’Am (העם) and the eventual connection to 5778 in that when we use this reverse alphabet cipher the word H’AM becomes (Z’TzY) which has a numerical value of 107, which corresponds to the sum of all the integers (spiritually, the sum of the collective memory) from 1 to 107, which is exactly 5778. And probably not so coincidentally, if we add both the regular and the atbash gematria of H’AM we get 115 + 107 = 222, which is also the same as the spelled out gematria milui value of the 3 letters in H’AM less the kolel for the 3 letters, or 15 + 130 + 80 – 3 = 222. Moreover, 6000 – 222 = 5778. In this verse, the Torah uses the word בשש “boshesh; delayed” which can also be read, “beshesh; at the sixth.” Nearly all the assorted messianic prophesies point to the sixth millennium, and there’s no argument with that, especially as 2 + 2 + 2 = 6 and we know that the nations couldn’t wait 6 more hours for Moses to return with the first set of Holy tablets from Mt Sinai. Thanks to the Sefer Chesed Le’Avraham by Rav Avraham Azulai, zs’kl, there was much speculation that H’Mashiach would arrive in 5760 (2000 CE). And he did in a sense, as the value of the word chai (18) in the phrase Mashiach chai (the Messiah lives) indicates that he will live 18 years from 5760 until 5778, but that will all be revealed in time. Rav Avraham Azulai, zs’kl, used the calculation of the size of a mikve, 40 seah, which is equivalent to 5760 eggs to determion the date 5760. Now, the erev rav have always thrived by spreading doubt, and doubt in Hebrew has the numerical value of 240, the same as Amalek (AMLK), which not insignificantly contains the word for nation (AM) and adds LK, of numerical value 130, the same as Sinai, where the doubt was sewn 6 hours before Moses’ arrival and the golden calf was constructed. If we reverse we the initial letters in the phrase 40 Seah, or Mem Seah, we get Samech Meah or 60 Meah, which is 60 hundred, which is 6000 as in the 6000 years of the 6th millenium. which corresponds to the Shesh in בשש “boshesh. But what does doubt have to do with 5760? The value 5760 can be derived from the equation 240 x 24 = 5760 and also from 6000 – 240 = 5760. Since 24 is the value of cad, a vessel, and 240 is the value of Amelak and doubt, we see that 5760 HC is the year of Amelak, which has always been spiritually and historically the scourge of the Jews (Israelites). From the word H’Am (העם), when the letters hey and mem are spelled out we get 15 + 80 = 95, the numerical value of “The King” and ayin spelled out is 130, that of Sinai, thus indicating that the King was at Sinai, but as we’ve seen the doubt spread by the erev rav impeded them from receiving Him. The message in all this is that we cannot let the erev rav from impeding us from receiving Him this time. We were giving 18 years, 6 + 6 + 6 years to overcome the erev rav and the doubts within ourselves in order to receive H’Mashiach in 5778. That is 66.6 jubilee years from 2448 HC, the last chance we got, when for the lack of 6 hours patience and certainty we had to wait another 3330 years for the next and final opportunity. What about the prophesied year 2012 CE? Since there are 18 years from the year 2000 to 2018, 2012 is 2/3 or .666 of the way in the final journey. And while the Mayan calendar resets in the year 2012 CE for another cycle it doesn’t actually end, but many of the nations have latched onto that as a date for the end of days. Now, while we’re in the period of Gog V M’gog, not accidentally of numerical value 70, which began in 5760 (2000 CE), and while we’re experiencing ever more difficult times, they won’t end in 2012 and the Messianic age won’t begin in 2012. But what will occur, is a deeper sense of doubt and disillusion as yet another supposed date for the Messiah comes and goes. Don’t get fooled by Amalek; there’s no Biblical context, no Bible code for the year 2012; it’s one more illusion, and mashiach consciousness is all about seeing past the illusions of what we call reality. How do we know we’ll get 2 opportunities? The word H’AM is repeated twice in this verse, meaning we will have to confront the nations (erev rav/Amalek) twice, or once more in order to reach Mashiach consciousness. And the bet (ב), meaning 2 or second, of בשש “boshesh (delayed) indicates that the delay of the 6 hours led to the delay into the sixth millennium and 2nd opportunity for us to unite as one as we were in Adam, the embodiment of Mashiach before the original sin. Doubt that? Multiply the values of each of the letters in בשש “boshesh (delayed) and take the square root to find its essence and what do you get? 300 x 300 x 2 = 180,000 and its square root is 424.2640. Since 424 is the numerical value of Mashiach Ben David, and 26 is that of the Tetragrammaton (YHVH), and 40 is both the Biblical number for “coming of age” and also the number of years that those at Mt Sinai had to wait to enter the promised land because of the golden calf incident, It’s pretty obvious what was missed and what got delayed. Why did they turn to Aaron? Amalek surrounded Aaron because Aaron is the link to Moshiach. The only name in the Torah linked to Mashiach is Aaron. And the exact words “about Aaron” (AL EHRN) have the numerical value, when the kolel is added for the two words, of 100 + 256 + 2 = 358, which is that of Mashiach. The gold was put into his hands, to give life to the golden calf, which has the numerical value of 108, thus 1 more than 107, and thus covering up the revelations of 5778 until now. And from the nations, Mashiach will emerge. There was much technology that went into the plot to undermine Aaron and the Israelites, and one part of that was that gold, hand and also David all have the numerical value of 14, linking them all to the negative action of the gold being put into Aaron’s hand. Think not? Then explain why the 12 words of the verse add up to 2865 and when we add the kolel for the 12 words twice for each period we’d have to wait, or alternatively the value 14, the value of David (gold and/or hand) plus 10 for the 10 Commandments we were supposed to have received that day, we get 2889 HC, the midpoint in David’s life and the midpoint from Adam to Moshiach. And what will happen in 5778, 2018 CE? And so they shall keep their distance. Distance in kabbalistic spirituality means “dissimilarity” of form, thus the chaff will be separated from the wheat. The peoples (nations) couldn’t see into the mist because the mist represents a reality beyond their comprehension; it’s the tree-of-life reality. When Moses (Mashiach) emerges in 5778 (2018 CE) the divine will be revealed to all who have awakened to the Messiah consciousness, and only to those. B”H everyone will awaken. Author Jeffrey MeilikenPosted on December 8, 2008 December 8, 2008 Categories RevelationsTags 2000 CE, 2012, 2012 CE, 2018, 222, 42-letter name, 422 BCE, 424, 5708, 5760, 5778, 70 CE, Aaron, Adam, amalek, Amelak, Azulai, bible code, Biblical, Creation, David, end of days, erev rav, exodus, gematria, Genesis, geula, Gog v'mog, golden calf, heaven, Holy Temple, Israel, king david, Mashiach, Mashiach Ben david, Mayan, mayan calendar, Mem-bet, messiah, messianic prophesies, Moshiach, promised land, prophecies, Second Temple, sixth millennium, spiritual., spirituality, spitually, Tetragrammaton, Torah, zoharLeave a comment on The Nations: What delayed the Messiah? And Who made the prophesies of 5760 and of 2012? What We Need is a Leader! We need a leader. What does a leader do? Provide direction. What direction are we going now? Anyone know? That’s why we need a leader. There have been several great Patriarchs and numerous great tzaddikim (righteous souls) but only 3 leaders in Biblical history that the kabbalists have connected to the Messiah and the final redemption: Yosef (Joseph), Moshe (Moses) and King David. The front pages of todays papers show Israeli soldiers dragging Israelis from their homes. Three days after 173 people were killed in MumBai and devout Jews were massacred in their home. Is this direction? What message is being sent to the world? To the spiritual world? Can anyone think that giving up the entrance to the Cave and the Home of the Patriarchs (Machpelah) will bring peace to Israel, to the world. What spiritual message is that sending? Can anyone think that giving most of Israel to the Palestine’s will solve the problems of the disgruntled masses throughout Arabia or their monarchies who need scapegoats? What about Iran; do they really care if Palestine is a state? Can anyone think that giving away Israeli land and homes will bring peace to Israel, the world? How egocentric is that thought? It’s saying that all the world’s problems and anger are based on whether you possess a plot of land or not. Do you really think there would be peace in the world, in the mid-east, if Israel gave away everything and ceased to exist? Of course not. People fight all over the world over every little thing whether there are Jews present or not. And they fought fierce devastating battles all over the world for the 5708 Biblical years before Israel had any land at all. Giving up the land is NOT the answer. Peace will never come from giving up land. It will come from giving up ego. Peace will never come from Jews fighting (arguing with) Jews. It will come from unity. Why is peace so hard to come by? Because it is so hard to forgo our egos and unify. We all have our opinions, but until we all realize that they are irrelevant. If you’re angry right now with that statement, that is ego, and that is exactly what we all need to cut out of ourselves. Because that means that we value our individual opinions more than peace, more than Mashiach (Messiah) consciousness. That’s why we need a leader. We need someone to rally around and whose opinions we follow without trying to bring him down by opposing him with our own. That Israel was granted statehood and land in 1948 CE, 70 years before the prophesied date of the Mashiach and the Geula, the final redemption in 2018 (5778) was no fluke. It was divinely arranged. As can be read and should be read in The Divine Calendar, Abraham was born in 1948 HC and G-d made his Covenant with Abraham in 2018 HC, and the midpoint of King David’s 70 year life was in 2889 HC, the midpoint from Adam to Messiah in 5778. We, our generation, have been given the right (not a foregone conclusion) to enter Zion. Moses prayer 515 times, every hour from Rosh Hashannah to Hoshanna Rabba for that right. G-d asked him to stop because on the 516th time his wish would have been granted. But that wasn’t the timing G-d wanted. 66.6 jubilee years ago in 2448 HC, we proved we weren’t ready during Moses 40 day absence. What does that say about our ability to succeed without a leader. He was gone for only 40 days. Rosh Hashannh (RESh HShNH), the head of the year (you can see the blog on the letters and cosmos as to why it is the head of the year) can be split up into (REShH ShNH), making the numerical value 506 and the second word as Shanah, year. The value 506 is synonymous with Ahavatchinam, “Unconditional Love” and is not only the value of the first line of the 42-Letter Name (Ana B’koach), but a value repeated 3 times in it’s last 7 letters. The hidden measure is Rosh Hashannh is the moment in the cosmic calendar that we can tap into “Unconditional Love.” The other message for those that want to know, is that that cosmic energy is available to us whenever we do the the Ana B’koach with the conviction we bring to Rosh Hashannah. Incidentally, most kabbalists agree that the 42-Letter Name was what the high priest recited in the Holy of Holies. Now, the other secret here is in the 40 days. In order for the Messiah to be present, the comsos must be properly aligned, which mean all 3 primordial letters (energy archetypes) must be present, and as per the Sefer Yetzirah, Abraham’s Book of Formation, these are the 3 Mothers: Alef, Mem, Shin (EMSh). In the year 2448, on Rosh Hashannah, RESh HShNH, the Alef (E) and Shin (Sh), only the Mem was missing. Moshe himself, embodied and carried the spiritual energy of the primordial letter Mem, spelled (MM), and mem has the numerical value of 40, so if the Israelites had waited 40 days, and Moshe would have appeared as scheduled the Mem would have been complete and the 3 Mothers (EMSh) would have been cosmically aligned. The first Mem would have gone to Rosh REShM, making a numerical value of 541, Israel, and incidentally that would have lined up the 7 Doubles (BGDCPRT) as well, but that’s for another blog). And the second Mem would have gone to HShNH, making MHNSh or (MHSh N), or (HShM, N), or (MShH,N). The secrets here are multiple, as the numerical value of these 4 letters is 395, that of H’Shama’im, (Heaven) and the letters MShH spell Moshe (Moses), and permute into Hashem (HShM) and also the 5th of the 72 Names (triplets), the one for healing, MHSh. Moreover, the letter Nun (N) has the numerical value of 50, representing the 50 Gates of Binah (understanding) that the we will reach when Mashiach arrives and that Moses was at and only 1 hour short on that 50th day from the 1st of Elul (Rosh Chodesh Elul) to Hoshannah Rabba. And if you recall, it was on the 1st of Elul that Moses ascended for the 2nd set of Tablets. And one more secret embedded here is that the 3 non-primordial letters spell H’NR, “The Candle.” It was the Light in the darkness that we missed then. All it took that time was one more candle. In another vein, the kabbalistic secret is that the numerical values for Yosef (Joseph), Moshe (Moses) and David add up to 156 + 345 + 14 = 515. It will take 1 more leader to reach 516. Another kabbalah secret, or Bible code is you will, is that the final letters of Torah phrases point to the future, and we must add 1 more to the final letters of Yosef (Joseph), Moshe (Moses) and David (PHD) to get the value of King (Melech), of numerical value 90. In the same way, if we replace David with the appellation King David, it still takes exactly 1 more to get 611, the numerical value of Torah. Anyway you look at it we need 1 more, an alef, the leader to get where we want to go. The alef stands for Adam (EDM), in the Adam-David-Mashiach, but we’re not expecting Adam to come back; rather, we’re expected to reunite back as one soul as we were in Adam. One (1) stands for one (1) soul united. And we can’t unite unless we have one (1) leader to get behind. And that leader won’t appear unless we set aside our egos, personal agendas and desires and make a space (makom) for the Messiah (H’Mashiach) to enter. Collectively the 3 leaders lived exactly 300 years, 6 jubilee years, which means we’ve been more or less direction-less for 5478 years, and 3330 since the giving of the Torah. Patriarchs, Prophets, Rabbis, and even some important Kings have filled in many of the gaps, and Torah has sustained us throughout, but now, more than ever, we a leader for the final push to the end of darkness, which incidentally has the numerical value of 333. 300 is the gematria for various Names of G-d (YHVH, Elohim, etc) in multiple way but we don’t need proof of Yosef’s, Moshe’s or David’s divine empowerment; what we need is a leader for the next 9 years, a period that promises to be full of turmoil and darkness. We don’t have a lot of time. Let’s all make the effort to make the space for the Messiah. The final letters of Adam-David-Mashiach (MDCh) sum to, alternatively, 52, signifying Malchut, our world, physicality, and 612, using sofit/final letter gematria), which is the numerical value of Brit, Covenant. The Covenant is meant to be fulfilled. And we know when. Who it gets fulfilled for depends on our actions in the physical world, not how much we pray. It can be for everyone, but only if we’re united. To unite, we must individually make the choice and vow that this is what we really want. Then we must set our egos aside and let the Messiah in. If we continue thinking only about ourselves, we will get want we desire, total chaos, darkness. But add “the Light” (H’Or) to darkness, and you get 212 + 333 = 545. Add 1and you get 546, the Tree-of-Life. Once we decide that that is what we really want we will get it. We will get our leader. Make space in your hearts, yes, but even more important, make space in your lives for the One (1). And once we give up the ego and the personal agendas, they won’t want the land. The entire world listened to Joseph. Four times as many people from other nations followed Moses than there were Israelites with him. And because of David we had the Holy Temple, and as the Zohar describes, him , David was Rosh Goyim, head of all the nations. They wont desire the land anymore; they will desire the Light, the Messiah. B”H we find the strength within us to make room for H’Mashiach. 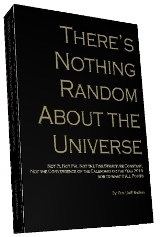 Author Jeffrey MeilikenPosted on December 5, 2008 December 7, 2008 Categories RevelationsTags 1948, 2018, 2448, 42, 42-letter name, 50 gates of Binah, 515, 516, 5778, 72, 72 Names, abraham, Adam, Ana B'Koach, Bible codes, Book of Formation, brit, cosmos, covenant, covenant of abraham, David, elul, energy, gematria, heaven, high priest, Holy of Holies, hoshanna Rabba, Israel, Joseph, kabbalah, kabbalah secret, king david, leader, machpela, machpelah, Mashiach, messiah, moses, Moshe, mumbai, patriarchs, rosh chodesh, rosh hashannah, Sefer Yetzirah, spiritual., Torah, uncondiotnal love, yom kippur, zoharLeave a comment on What We Need is a Leader! We’ve seen that in the Divine calendar from Adam to Mashiach, year 0 to year 5778 HC there is midpoint marked by the midpoint of King David’s 70 years life, the year 2889 HC. And it’s known by chazal that אדם (ADAM) stands for Adam-David-Mashiach. It’s also known that because David was necessary for mankind but given no life of his own until the end of time in 5778 that Adam gave 70 years of his proposed 1000 year life for David and thus lived only 930 years. But it’s also known that Jacob gave up 33 of the years of his life since he was supposed to live as love as Isaac, his father (180) and that Joseph likewise gave up 37 years of his life since he was to live to 147 like Jacob, and not the 110 that he did. Together they sacrificed 33 + 37 = 70 years, but since David already had his life allotted to him by Adam, who received the patriarch’s 70 years. Just perhaps these are the 70 final years from the founding of Israel in 5708 to the final redemption in 5778. 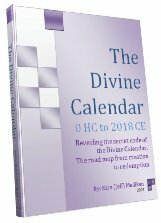 So considering this divine calendar so perfect in its construct as delineated in the Book The Divine Calendar, what significance is there in David’s birth in 2854 HC, exactly 406 years after the reception of the Torah at Mt Sinai in 2448, seeing as 406 is the numerical value of the letter Tav, the last of the 22 regular letters, the one representing the end and malchut. If David’s birth was the end, what followed? And while there were 406 years from the giving of the Torah to King David’s birth in 2854 and 406 is the spelled-out value of the letter tav (ת), there were an additional 906 years until the year 3760, the pivotal year 0 CE in the Gregorian calendar and 906 is the sofit value for the spelled out letter koof (ק). There were also 906 years (representing Koof) from the Covenant of Abraham to the Birth of King David, displaying symmetry with the Birth of King David at the apex and/or bottom depending on your perspective. Now the letter combination Tav-koofתק is not commonly used as a word in Hebrew, but the Zohar does use it to describe the actual distance/length of the Tree-of-Life, which is 500 parsangs פרסה according to the Zohar, the Book of Splendor. It is an interesting description for the distance (in spirituality time is measured as distance, and distance as similarity of form) between the giving of the Torah and the pivotal beginning of the Gregorian calendar-from one end of the tree-of-life unto the other. But if we were to extend outwards from the year 0 CE (3760) that same distance of 500 parsangs, which we now know to be 406 + 906 = 1312 years, the next edge of the Tree-of-Life would reach the year 1312 CE or 5072 HC, which is 706 years before 5778 HC, the prophesied date of the arrival of the Messiah. And 706 is the value of the composite letters (nun sofit and vav) in the letter ץ Zaddi sofit, the last of the 5 final letters םןץףך, and the last of the total 27 letters in the Hebrew Alphabet (alef-bet), the end of the end. And considering that Zaddi is the last of the 5 final letters, it’s very apropos that the spelled-out values of the composite letters (ן nun sofit and vav ו) that make of the Zaddi sofit(ץ) is 778, as in 5778. We know that the 78 in 5778 represents the tree-of-life through its initials, the Ayin-Chet (numerical value 78) of YZ ChYYM, and we’ve just learned the the letter Zaddi sofit (ץ) will be found at the end of time (5778), so now we can better understand the reason David had to be given 70 years of life, and also the reason that the Patriarchs had to give up 70 years of their lives in order to support us during the final 70 years from Israel becoming a nation in 5708 until 5778. The 70 years is the Ayin (Y) of value 70 in the word tree, which in the end of days will be combined with the Zaddi sofit (ץ) to form Etz, (ץ), the tree. And Chaim (life) (ChYYM) can be permuted to form Mashiach (MShYCh) when the second letter Yud is converted to a Shin through gematria albam. Thus when Mashiach comes in the end of days, we’ll have available to us the tree-of-life (10 sefirot) consciousness, the ability to see beyond the illusion of reality. And the word for reality in Hebrew (MZYEVT) is comprised on Metz (MZ) meaning chaff (the surrounding husks we throw off/away) and 10 (Y) Ot (EVT), meaning signs, or possibly 10 sefira, thus what we call reality now is in actually a covering of the signs we need to guide us through life, a covering of the 10 sefirot, which is life itself, the life of the soul. Once H’Mashiach comes along the chaff will be blown away for those that really want to see, to live. For 3330 (or 50 jubilee x 66.6 years) since the time of the 10 signs/plagues we’ve sampled this every Pesach (Passover) when we cleansed our homes of all H’MZ (chaff). But we haven’t been able to rid ourselves of the Metz (chaff) inside us, inside our heads. So it seems that the year 5778 is not only the end of the Divine Calendar, but of the Hebrew alef-bet as well. What happens thereafter has yet to be written. We do need to work on getting rid of the metz (chaff) in our heads; that much is clear. No drop from above happens without two drops from below, work and faith. The Mashiach will come. It’s up to each of us to benefit from it. Remember, the future is yet to be written. What do the 4 wells in parsha Toldot have to do with Isaac being 60 and with the fountain of life? The Torah begins with the word for “well” permuted in its verse first 3 letters (BRE to BER), and actually it repeat it as the second word in the Torah (BRE to BER). Why? And together they add to 406, the value of the spelled-out letter tav (TB). Why is the end in the beginning? Let’s jump ahead to Toldot, the 6th portion of the Torah, where we learn about Isaac digging wells, and as the Arizal points out “the well (H’Be’er) has the same numerical value of Isaac (Yitzchak). There are four wells mentioned, but the Arizal in his commentary on this portion, really goes deeper into the first two and then concentrates on the phrase from the portion (Bereshit 26:19) “a well of fresh spring water” (be’er mayim chayim), living waters. As for Sheba (ShBA), the shin and ayin as included in this second line so the collective letters not utilized in the 4 wells are H, Ch,B,V,T and B) and these 6 letters sum to 423 and is we add 1 for the kolel, we get 424, the value for Mashiach Ben David, the Messiah. Now, while the word Rechovot from which most of the extraneous letters come from has the word value 616, the same as that of H’Torah, “The Torah,” the final letters of Eisek, Sitnah and Rechovot (K,H,T) have the numerical value of 505, Sarah, from which the Mashiach connection stems, as we’ve discussed in numerous posts. As an aside, please note, that the difference from H’Torah to Sarah is 616 – 505 = 111, the value of Alef, as in the Alef of Abraham, who also had dug wells before Isaac did, and is also the other half of the Mashiach equation. So what is the spiritual significance of digging wells? The 4th well, was dug at Beer Sheva, meaning satisfy/content and also seven (7) when G-d blessed Isaac and told him he’s multiply his seed for Abraham’s sake. It has the numerical value of 372. And when we consider the aspect of the Tetragrammaton known as Mah (Zeir Anpin) (YVD HE VEV HE) and use the spelled-out value of the 3 alefs (333) in it and add them to the value of the rest of the letters (42), subtract ing the kolel for the 3 alefs we get 333 + 42- 3 = 372. Now considering that a well or cistern is a vessel, usually associated with the level of malchut (our world) and that zeir anpin is the 6 dimensions (sefirot) that channel the light (flow of energy/life) into our world, we find that the 7 in total are functioning properly at Beer Sheva to transmit the flow of energy necessary for G-d’s blessing to carry on through Isaac and to the future generations. And since we know that the 42-Letter Name (the Ana B’koach) is directly associated with these 7 sefirot and that it acts as our channel to the upper worlds, we see why the early wells were tied in to it. Moreover, they were tied into the 2nd line of the Name, the line that is directly associated with Isaac’s energy. Using this analogy, the 4th well must be connected to the 4th line of the Name, and thus the point of the flowing blessings as well. From the phrase “a well of fresh spring water” (be’er mayim chayim), we see that the first letters of the first 2 words spell out mem-bet as in the Shem mem-bet, the 42-Letter Name of G-d, and that the first letters of all 3 words add up to 50, representing Binah. And the full 3 words add up to 360. Moreover, if we add the 3 for the kolel for the 3 words we get 360 + 3 + 363, the numerical value of H’Mashiach. And when we add those first letters of the living waters B,M,Ch, totaling 50 to the first letters of the first 3 named wells (A,Sh,R), totaling 570, or 10 times zan, sustenance, we get 50 + 570 = 620, the numerical value of Keter, the highest sefira/dimension. There are 22 letters in the named wells and the phrase about the living waters in them, a not-so-subtle hint about a connection to the 22 letters of the alef-bet. So when we add the 3 named wells plus the 22 letters that comprise them we get 470 + 364 + 616 + 360 + 22 = 1832 and if we add 1 for the kolel, we get 1833. As also explained in depth in The Genesis Prayer, this central pair, Resh-Zaddi (RZ) also control a meditative gateway to fulfill that blessing and to help with conception and pregnancy, as well as with finding soul mates, as Rivka and Rachel and Moses did with their wells. There is definite mid-point in the 42 letter Name, the place where the two drops from heaven, the two Ehyeh (EHYH), each of value 21, meet, 21 letters from the beginning and 21 letters from the end, a place where if the Name was split in two and the first letter was multiplied by the last and so forth and the 21 square roots taken, they’d add up to 358, the value of Mashiach. At this very place on the 4th line, the total numerical value up to that point is 1833, like the waters flowing through the 4th well. Is there a better place to find Keter? And the ordinal value of the two letters at this special point, resh (R) and zaddi(Z) are 20 and 18, as in 2018 HC, the year of the Covenant of Abraham, also known as the Covenant of Halves, when G-d first promised to make Abraham’s descendants as numerous as the stars, etc. It’s also as in the year 2018 CE, the year prophesied for the arrival of the Messiah, at the end of the 4th exile. And since these wells connected to the 22 letters, it’s important to note that there are 1833 letter Samech’s (S) in the Torah, adn teh value of Samech (S) is 60, as in the 60 years of Isaac’s age when he re-dug the wells of Abraham and stood in beer Sheba and G-d renewed (for no apparent reason) his blessing with Abraham, telling Isaac that he will multiply his seed. For no apparent reason other than making this gift of the Resh-zaddi gateway obvious to us and our generation. And when we add the value of samech (60) to the value of the resh (200) and zaddi (90) we get 350 and if we then add the kolel of the 10 letters in “a well of fresh spring water” (be’er mayim chayim) we get “a well of fresh spring water” (be’er mayim chayim) = 360 – 10 = 350 = the RSZ well of flowing abundance and chesed (loving-kindness). We also know from chazal that as the mid-way point in our journey so to speak this well (R-Z) protects us from the obstacles in our paths if we persevere and continue our journey until the end, seeing the illusions for what they are and reaching the promised land. If we add the value of samech (60) to the full value of the 42 letters (3701) we get 3761 as in the year 1, or the 1st year on our new journey or 2018 years toward 2018 CE. Our first journey of 2018 years got us as far as the blessing in 2018 HC. There are 3760 years between the two events, 10 times the value of Shalom (peace, 376), or 10 times the value of Esau (376), about whom the Torah immediately tells after G-d extended his Covenant through Isaac, that Esau took a wife from the Hittites a source of grief for Isaac and Rivka. And where do these wells flow from? The Airzal tells us they flow from Gan Eden, the garden of Eden. The Ark that contains the Torah is called H’CLY and we know from chazal that CLI stands for Cohen, Levi, and Yehudi, and that it has the value of 60, so when we open the Ark, we can metaphorically open the resh and the zaddi curtains (RZ) and connect to that flow from Gan Eden. We can also do that every time we do the Ana B’koach. And note that it is in the 4th line (BTtRZTG) of the 42-letter name that we find word Brit, (BRYT) Covenant, slightly concealed. Since the Zaddi can be split into its two component parts, the Nun (N) and a backwards resh that in the time of Mashiach will be turned around, we have spelled out sequentially (B R Y T) Brit in the center of the line. So whose Brit and whose Covenant are gifted to us in that middle line of G-d’s Name? Use the gift, share the gift, and open the flowing waters in your life. Use the gift, share the gift, and help someone in need be fruit, righteous, and to multiply. Use the gift, share the gift and in the 8 final years to 5778 (2018) help fulfill the Covenant and be there for the Brit of Mashiach.